If it wasn’t for social media, I might have missed out on this fantastic tour. A few weeks before my trip, I decided to plan a route based on two or three breweries. I went on Twitter and Facebook to ask others where they recommend that I should visit on my drive from the midwest to the southwest. Within seconds, multiple people had mentioned Boulevard Brewing in Kansas City. I created a map with Boulevard as one of the destinations, and found that it fit perfectly within my plans, so I responded that I was definitely interested and started looking up tour times for our second day on the road. I was immediately shut down, however, as all the tour times were booked full through the end of the year. As I returned to Twitter to relay my sadness at not being able to tour such a highly recommended brewery, I received a message from one of the brewers at Boulevard, Jeremy Danner, saying he might be able to help me out. A few emails later, and he had set up a personal tour with their Marketing Communications Manager, Julie Weeks, at 10am on December 28th. It was too good to be true! I am still marveling at the powers of social media and online communication, and continually am reminded of the things we can accomplish through this medium. And yes, I’m aware that this was only setting up a brewery tour, not saving the world, but it’s just further proof that getting in touch with people and asking questions can help to get you what you’re looking for. So, on our second day, after making it to Kansas City around 9pm the night before, we rose bright and early for a delicious breakfast of beer at Boulevard Brewing Company. As normal tours don’t start until later, and the brewery itself isn’t open to the public before then, we were pretty much the only people on the premises, if you don’t count all the brewers, an administrator or two, a few people cleaning in preparation for the day, and the owner and president, John McDonald. It was surreal, to say the least, walking into this giant building – which had such a wonderfully warm yeast and light hoppy smell – that was so quiet I felt like I should whisper. 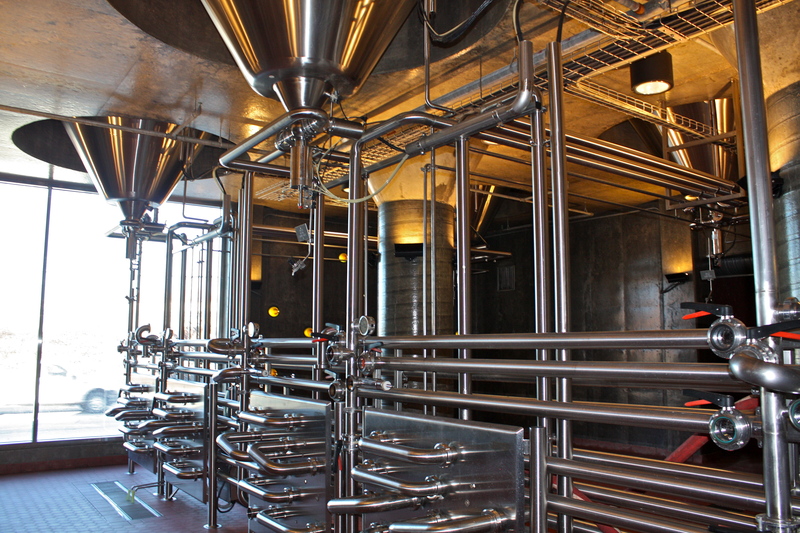 I felt like the brewery was just waking up, when in reality it probably runs almost non-stop, and I was immediately at ease while I wandered around the main lobby looking at all the steel pipes and instruments through the windows. It was very peaceful. When Julie came down to meet us, she had such a great smile and seemed really eager to give us a tour. She explained that while she doesn’t usually do tours anymore, being the Marketing Communications Manager, she still enjoyed meeting people on the rare occasion that she had time to introduce groups and individuals to the behind-the-scenes of the brewery and beer she is obviously very passionate about. 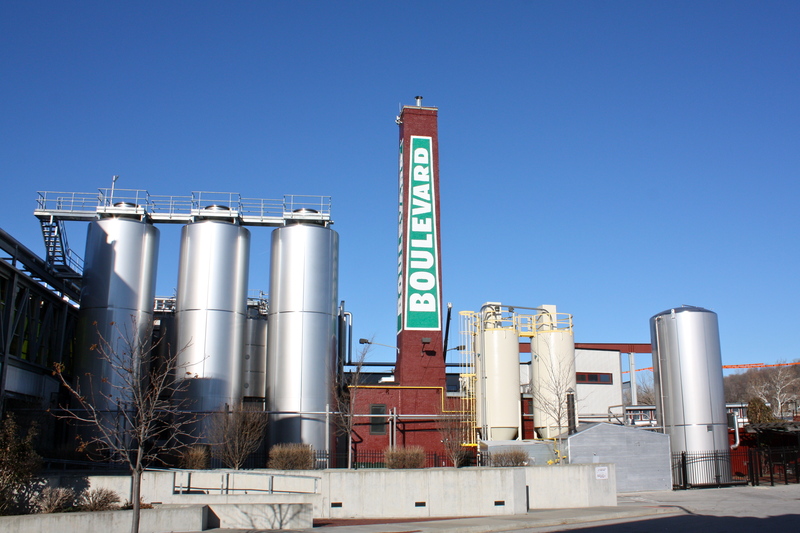 The Boulevard story begins in 1988, when founder John McDonald started construction of the brewery in a turn-of-the-century brick building on Kansas City’s historic Southwest Boulevard. 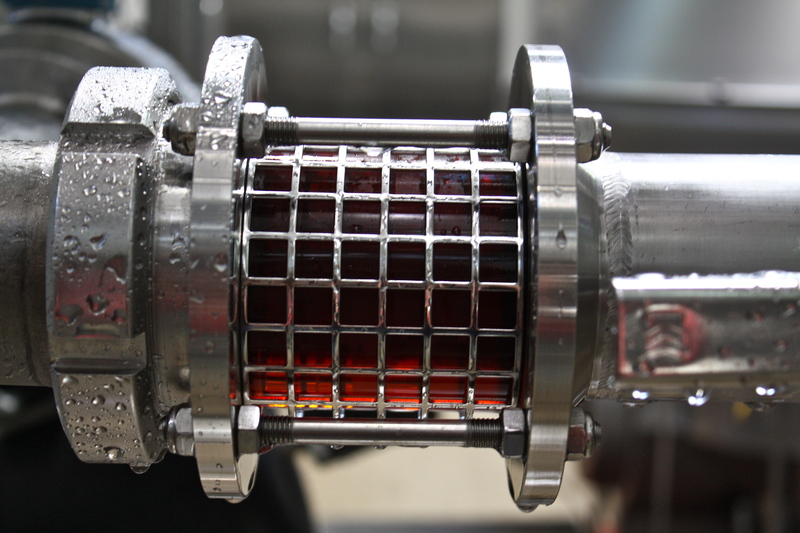 A vintage Bavarian brewhouse was installed, and the first batches of beer were produced in the fall of 1989. That November, the first keg of Boulevard Pale Ale was delivered—in the back of John’s pickup truck—to a restaurant just a few blocks away. 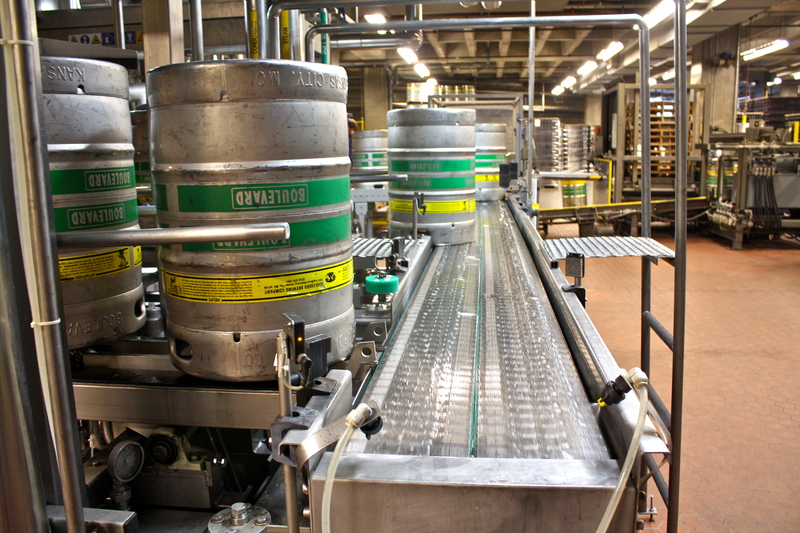 In 2006, a major expansion adjacent to the original brewery raised Boulevard’s brewing capacity to approximately 600,000 barrels per year—a sizable increase from the 6,000 barrels contemplated in John’s original business plan. 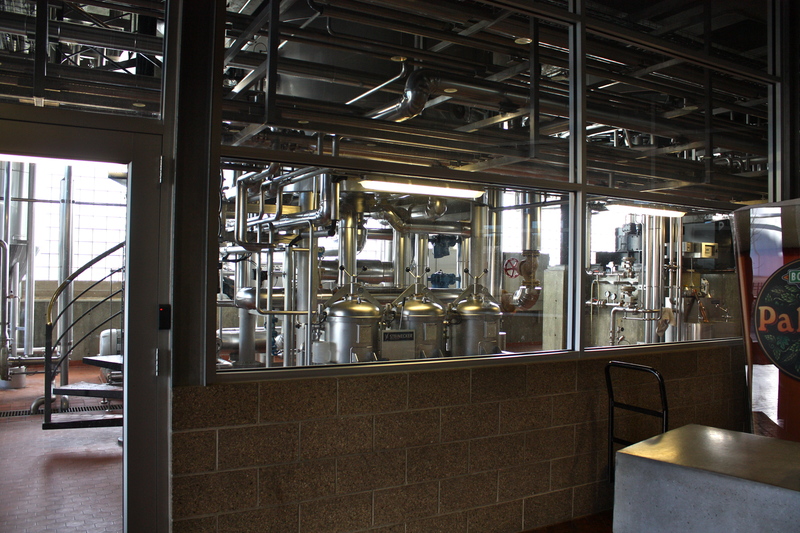 The new brewing and packaging facility is a model of sustainable urban architecture and engineering; a three-story, 70,000 square foot building housing a new, state-of-the-art 150-barrel brewhouse, packaging lines, administrative offices, and hospitality rooms. 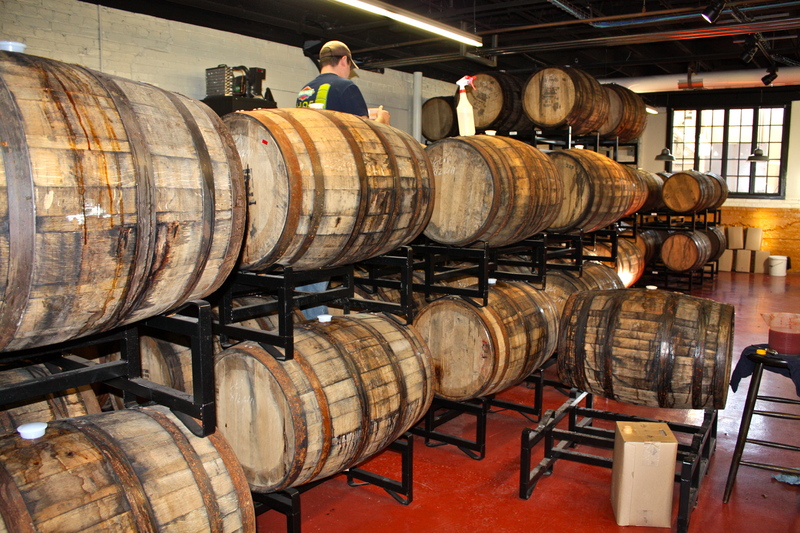 The next room was a first for me; even though I’ve been aware of the practice of barrel-aging, and enjoyed quite a few barrel-aged beers, I’ve never actually been inside of a barrel-aging room, much less up close and personal with the barrels. This gem of a place held rows of racks filled with large barrels from many different distilleries, including Templeton Rye barrels for their Rye on Rye (coming out in March), Jack Daniels, 7 Hill and others for their Smokestack series. Julie also mentioned that they were starting to explore sour beers and hoped to find a good combination of flavors before releasing anything to the public – so nothing on the line, yet. It smelled delicious just passing through – softly sweet and boozy, and the guys working with some of the barrels were very friendly and enthusiastic about their craft. 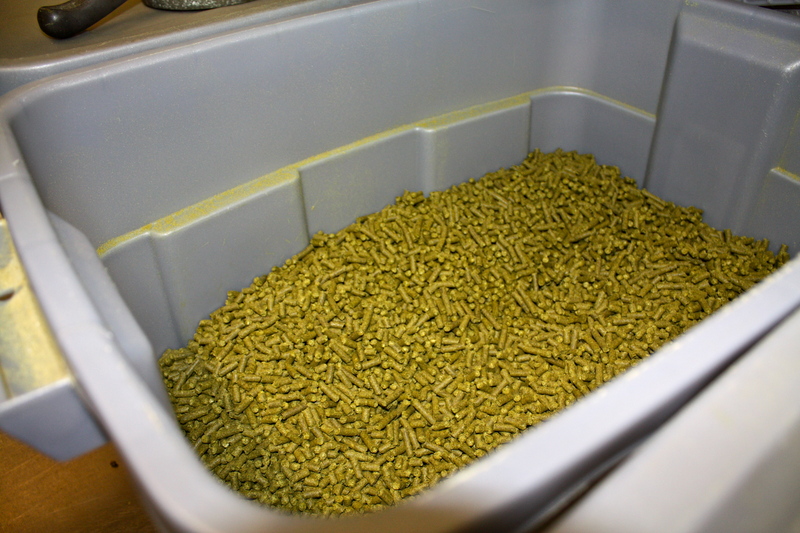 Heading out of the barrel-aging cellar, and reaching the end of the old part of the brewery, we headed to the new addition to witness the enormous new tanks, mash tuns, a second tasting room, and even the cooler where the hop pellets are kept. 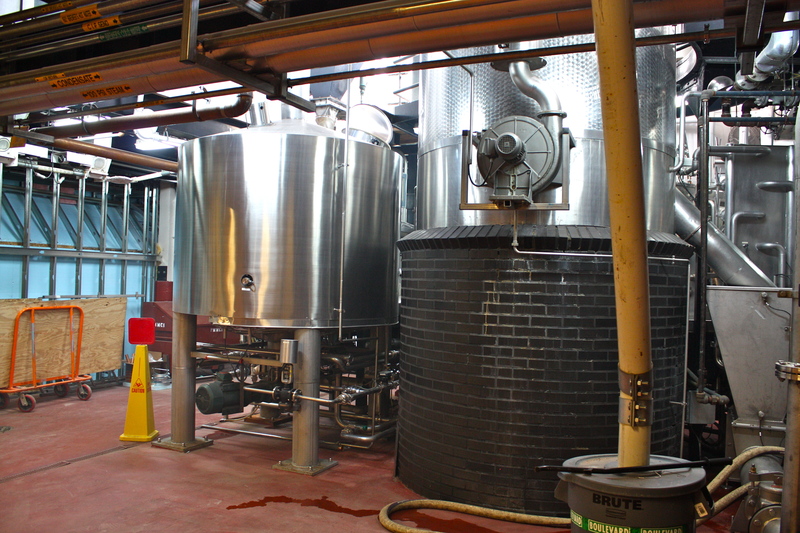 The picture below is of the new 600bbl tanks (well, the bottoms of them) in one of the fermentation facilities, which rise above the brewery and are supported by quite a few tons of reinforced concrete. Apparently, this room is so well fortified that it can be used as a shelter during tornadoes and earthquakes. 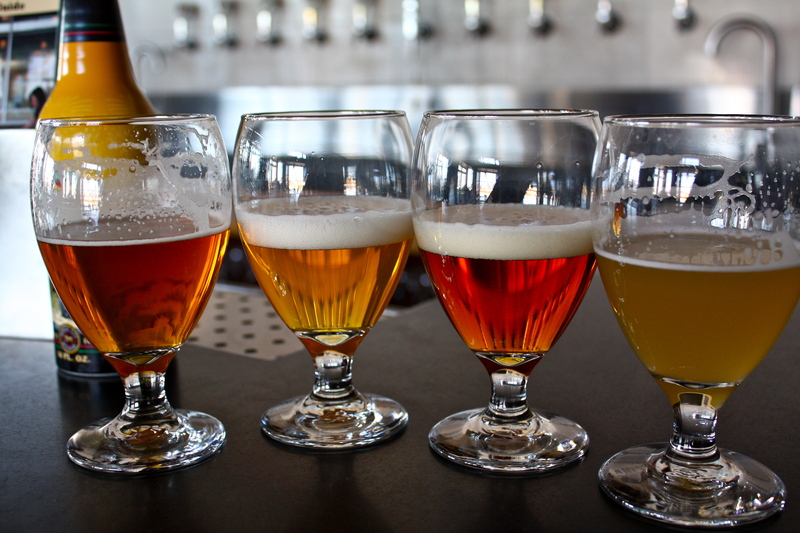 After wandering around such massive machinery, Julie took us to the second, newer tasting room, where all of their currently available brews were offered. Having never had the pleasure of partaking in a Boulevard beer, I was pretty enthusiastic about trying multiple styles without going overboard – as it was still only 10:30 in the morning and breakfast had been a bust (continental breakfasts, no further comment), not to mention we still had a few more things to see in the brewery. So I opted for their Tank 7 Farmhouse Ale (Smokestack Series), Single-Wide IPA, Unfiltered Wheat, Pale Ale, and Dark Truth Stout. 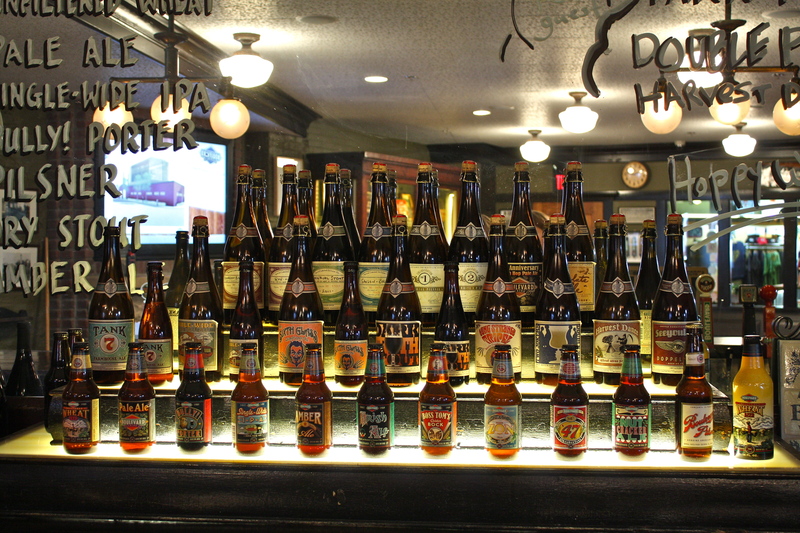 I shared all of these with my mother, of course, but Julie let us each pick one we liked to take with us and sip on through the end of the tour. So of course I picked the one with 8% alcohol – the Tank 7. The rest of the tour went fairly quickly, but Julie was super informative about every little detail, which I really appreciated as I was walking through, but now that I’m trying to remember everything, I’m thinking I should have just taped my experience. 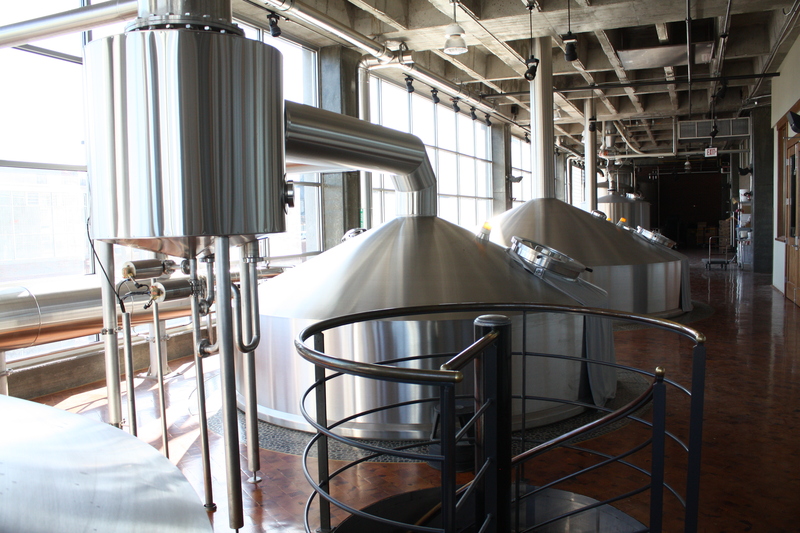 Regardless, the next few places we walked through were the tops of the tanks, the hops cooler, and finally the administrative side of the building where cubicles were set up around the second story of the atrium that houses the bottling facility. We even passed John McDonald as he was headed to give a tour. 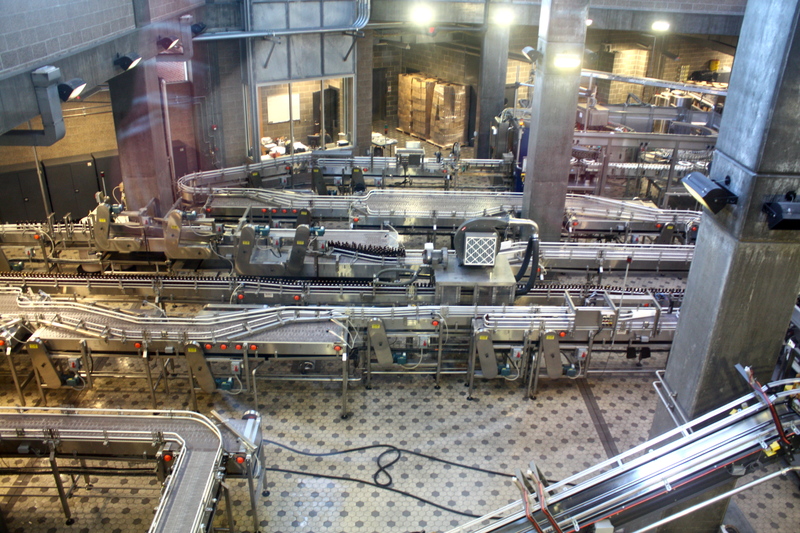 Once we made it around the top of the building and saw all of the bottling line from above, we took an elevator down to the keg center. Watching these kegs move so monotonously and efficiently through the system, being cleaned out, sanitized, and filled back up with beer upside down before being flipped over (manually) and loaded onto pallets was pretty cool. It was another first for me, and I relished every second of it. It made me more excited to be a part of the craft beer community and helped to fuel my love for the brew as well as my thirst to learn the process. Eventually, and sadly, the tour had to come to an end, but the hour I spent with Julie touring Boulevard Brewing Company was more enlightening that I could have imagined. She was wonderfully descriptive and informative and holds a palpable passion for her work with the brewery. I was very lucky to have been able to tour with her and can’t wait to visit for another go-round! Many, many thanks to Jeremy for helping me set up a tour as well as giving me some fantastic restaurant recommendations, Julie for taking the time to give me and my mom a tour and for being so awesome overall, and @mwagner8 for helping me get in touch with Jeremy and leading me to the best barbecue I’ve ever had in my life! For more pictures, click through the gallery. And for the third day of my trip, you’ll have to wait, as my birthday is on the 19th and I’m going to be opening some beer I picked up on my trip, as well as a trade or two, so I’m not sure how type-proficient I’ll be. Cheers!